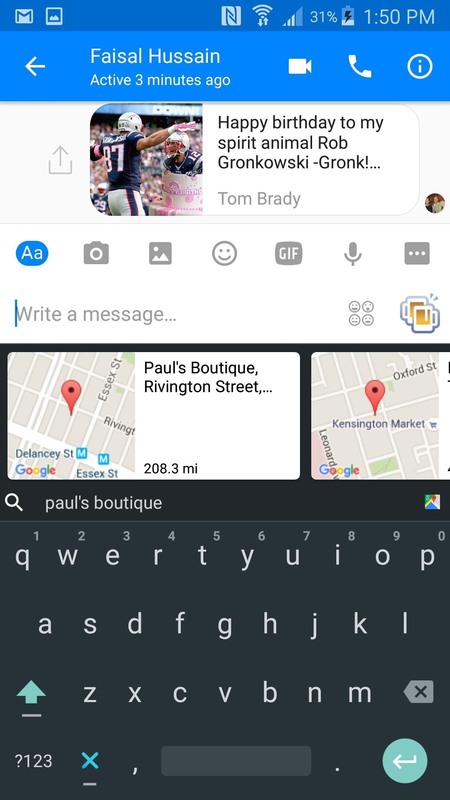 Google released an amazing swipe keyboard a few months ago called Gboard that has Google Search built right into it; This makes adding pics, GIFs, videos, and links to articles, restaurants, and shops a breeze. 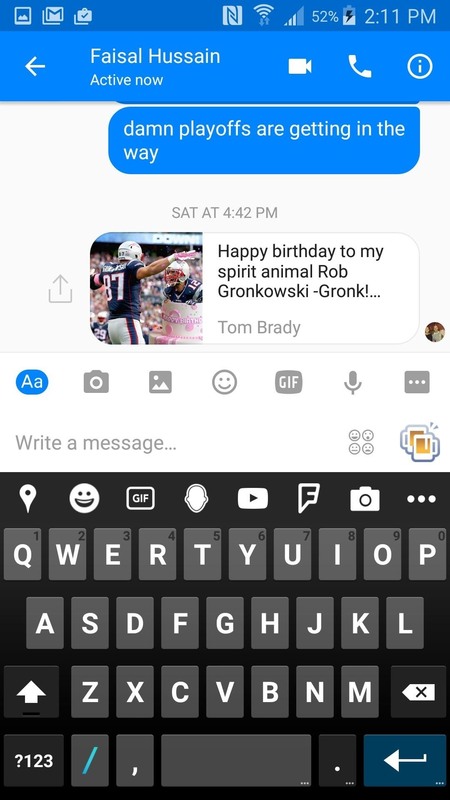 It even helps you search for emojis! The only problem is that Gboard is for iOS devices only, meaning only an iPad, iPhone, or iPod touch can use its magical powers. 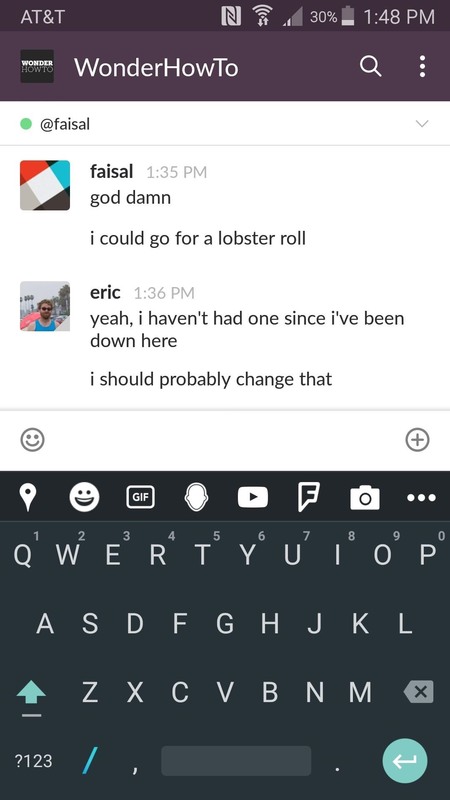 Google said they're hard at work on an Android version, but it already feels like too long and still there's no Gboard for Android in the Google Play Store. 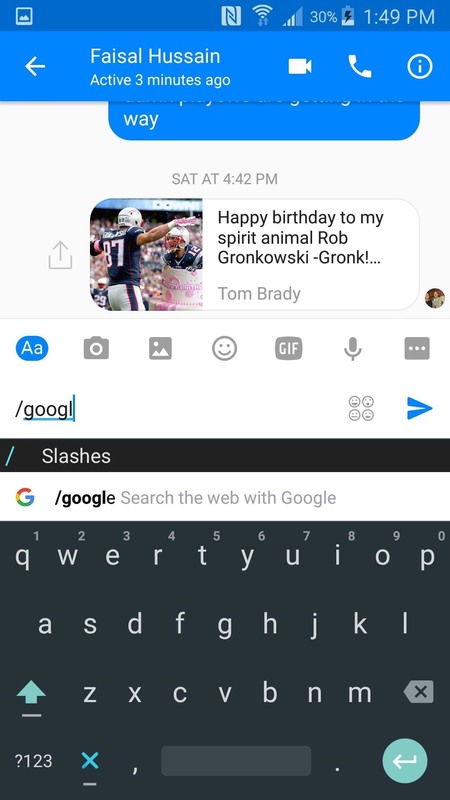 So while there is no way you can install the official Gboard for Android right now, there's an alternative you should check out called Slash Keyboard. It's not quite Gboard, but it should be close enough to tide you over for now. Instead of a dedicated Google button, Slash Keyboard lets you search a variety of sites such as Google, YouTube, Spotify, and the like by tapping the "slash" icon on the keyboard and typing in the name of the app you wish to search. It's a little like the slash function on Slack. Other services include Amazon, GIPHY, Genius, SoundCloud, Twitter, and many more. 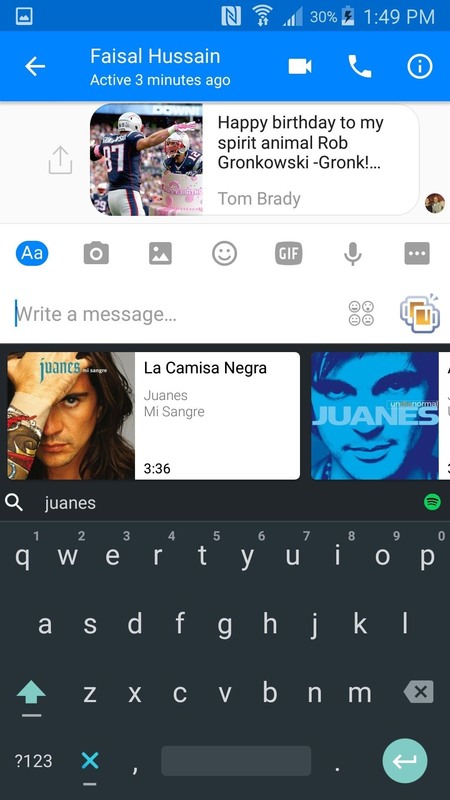 Like GBoard, Slash Keyboard will work with any app that you can use a keyboard with. You can even create custom slashes on the app, but at this point it appears to be limited to converting a command to a phrase (like your home address) or hyperlink. As useful as using Slash can be, there are a couple issues with the app. It's missing solid features that you'd find in other keyboard apps, like swipe-to-type and the ability to long-press letters to bring up symbols. Also, the keyboard itself just looks kind of ugly. Slash Keyboard comes with five themes, but none of them seem particularly pleasing to the eye. Personally, I'll probably stick with SwiftKey for now, but that may be just because it's the keyboard I'm most used to. 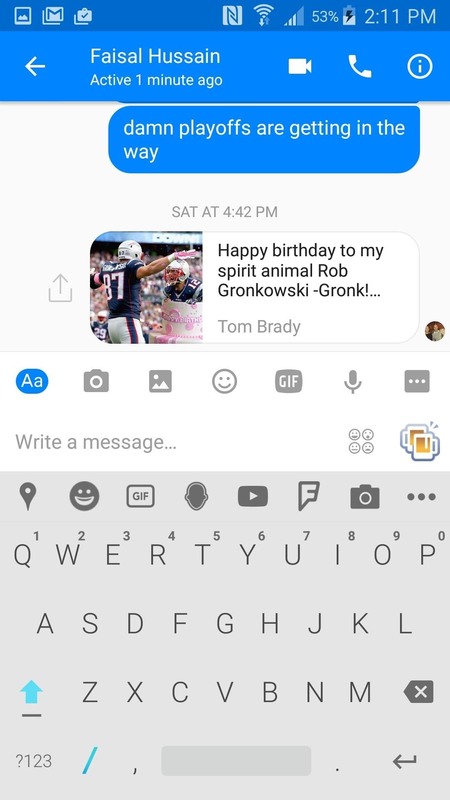 Still, if you really want some of those Gboard features right now, Slash Keyboard might just be the answer. I believe I am also going to be with SwiftKey for now. These much features are not enough to sell me.